Are you looking at big aquariums, are you sitting in leather chairs and your thoughts are going to coffee and dessert? Then you are in the right place. 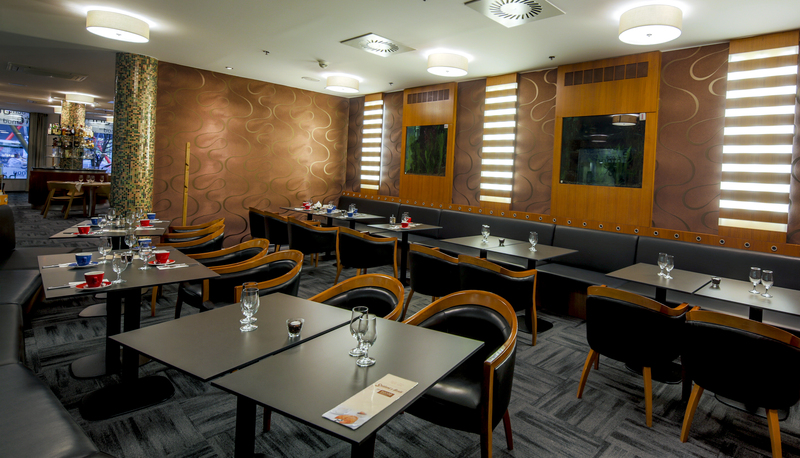 Over 20 kinds of premium Mövempick coffee, modern desserts of own production, snack menu, daily spills of several kinds of attributive wines and a selection of fresh fruit juices.The café part of the restaurant has a non-smoking area.